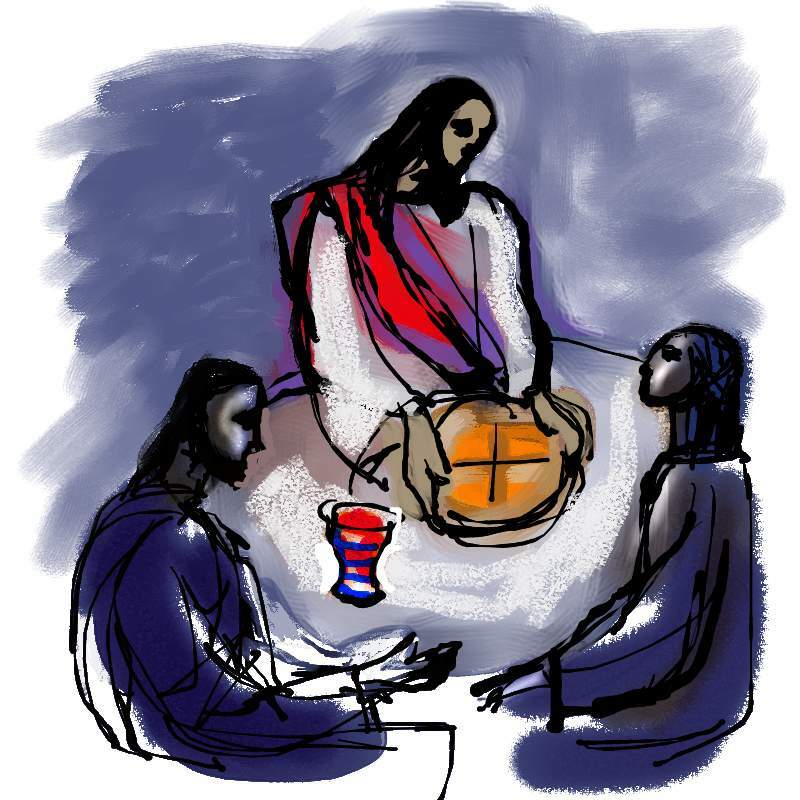 Today’s gospel is the last part of the “Bread of Life Discourse” from the Gospel of John. The disciples who have heard Jesus’ preaching, experienced his healing power, seen him command the stormy seas, witnessed the miracles, and hope him to be the promised Messiah – in today’s account we discover that, for some, Jesus’ claim that he is the “bread come down from heaven is a breaking point. “This saying is hard; who can accept it?…As a result of this, many of his disciples returned to their former way of life and no longer accompanied him.” For some it was all a bridge too far, the last straw, and with no reason to stay, they left. For some, there was motivation, desire, a reason to remain. I think we have all been there at some point in our lives. What is the difference between those who stay and those who go? It is a well know gospel – the miraculous feeding of the multitudes. St. John estimates the size of the crow as 5,000 counting only the men. The location of the event is somewhere on the shore of the Sea of Galilee on a “mountain” but then the same word can be used for “hillside.” The Christian community still remembered the location and shared it with the 4th century pilgrims. Today, there is the Church of the Multiplications on the traditional site that is maintained and served by Benedictine Monks. It is a site near Capernaum on the north side of the Sea of Galilee (St. Luke says it was in Bethsaida Julias, not too far away where the northern branch of the Jordan enters the Sea). I recently visited the Church of the Multiplications and would note that it is about 2 miles from Capernaum to the northeast along the lake and about 2 miles from Bethsaida (not Julias) to the southwest also along the lake. I mention this in passing to note that villages were nearby – not that 5,000 people were going to head to the local market for dinner, but so often people imagine this place as a remote wilderness. But is actually quite verdant, on the lake, and with villages nearby. When I was at the holy site, I was moved to remember a homily from some 30 years ago. 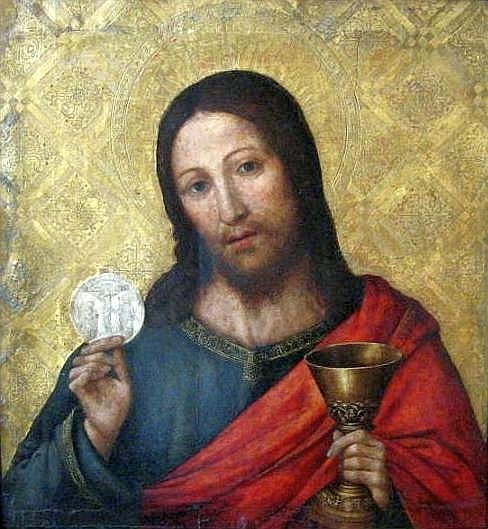 The priest proclaimed that there was no miracle as we would understand it, but that the “real miracle” was that the people were inspired by the willingness of the young boy to give up the food that he had brought with him. His example, moved them to open up their satchels and share their food, ensuring everyone was well fed and there were still 12 wicker baskets of left overs. I am sure the priest meant well, was emphasizing the ecclesiological (“things church”) nature of Church as community, and was calling our local community to share with those in need. All well and truly good, but…. no miracle? But then there is something about the young man – and his willingness to share. There is a story told in Kenya about an mchoro (literally a trash person). This old man slept on the streets and scavenged among the trash heaps and dumps to eek out an existence. Then he would sit with his begging bowl on the streets of Nairobi, dodging the police, and depending on the kindness of strangers. The word on the street was that the Supreme Chief of his tribe was coming and would pass by his “usual spot” on one of the avenues. The old man knew of the compassion and generosity of the Chief and so ready with his “speech.” The day grew longer, the sun baked the city, and it was not until late in the day that the chief and his entourage passed by. The old man gave the prepared speech and asked for help. Instead, the chief, extended his hand and asked the old man to give him something. The old man was surprised, stunned, but the chief is the chief, and when the chief asks…. And so, reluctantly, he reached into his satchel and gave the chief three Kenyan samosas he had received from a stranger. These were half of what would have been his dinner that night. “Asanti sana” (thank you) said the chief and went on his way. Downcast and forlorn, the man returned to his usual sleeping place on the street. He was hungry, it was late, and time to eat the remaining three samosas. When he reached in, his hand found a samosa – at least shaped like one – only it was hard like a rock. He pulled it out. It was a rock of gold! He put his back in twice more – and retrieved two other rocks of gold. And in doing so, Christ will work miracles through your gifts.